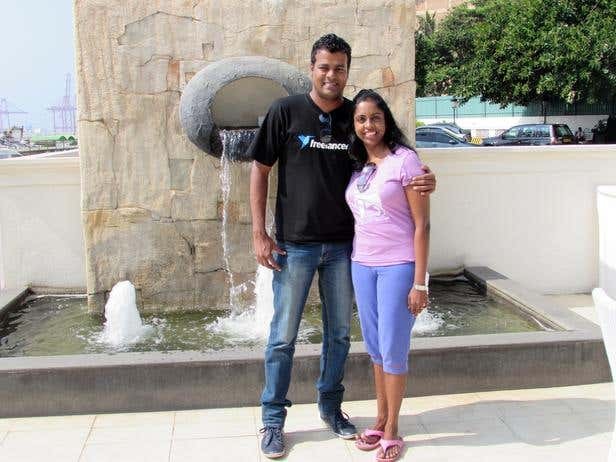 Digital marketer Nilan Wijeratne from Colombo, Sri Lanka considers himself a digital nomad. His lifestyle allows him to travel around his country while working at many coworking spaces, coffee shops, hotels, restaurants, and many more. He would work and earn on the go through Freelancer.com. "I'm fascinated by the vastness of the Internet. When I found out how others were earning online, I researched and stumbled upon Freelancer.com. In 2009, I signed up and started working as a Virtual Assistant," shared Nilan whose first project was from a Canadian employer. Since then, he has worked on Internet Marketing, Research, and SEO. He has worked with a number of clients and even met up with one of them in person. "A businessman from Australia whom I helped with SEO visited my hometown, Ratnapura, for both business and leisure. We were able to work on optimizing the website of his five-star boutique villa here in Sri Lanka," he said. 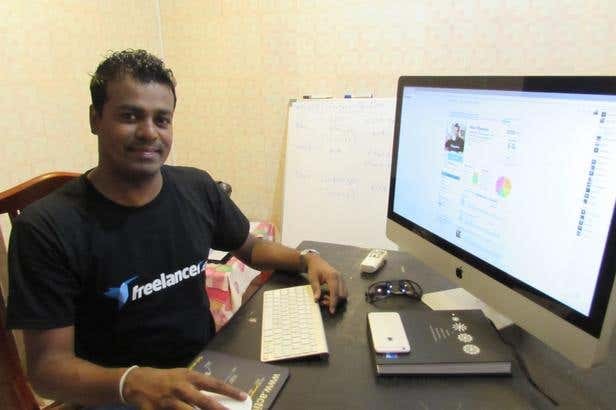 But the pinnacle of Nilan's success on Freelancer.com was when he assumed the position of Founding Community Manager for Colombo Freelancer Business Group in 2014. It started when he sent an email to Freelancer.com showing his interest to promote freelancing in Sri Lanka. He worked with Freelancer.com's Regional Director to launch Colombo FBG, which helped a lot of startups and freelancers. "We held five training workshops for freelancers in this group so far. We also promoted the platform in different social media channels." The group proved to be a success as it not only served as a support system but also as a means to connect freelancers to potential employers. It was also useful for spreading word about opportunities on Freelancer.com, such as contests, which Nilan enjoyed. "I won the "Be the Face of Freelancer.com" hosted by Freelancer," he beamed. With his accumulated earnings from Freelancer.com, Nilan was able to launch Wolvert Digital, a marketing solutions company. From working by himself, he has employed five more employees. His wife, Rosie, also helped him as a great content writer for his SEO projects. No longer a nomad, Nilan settled at a new office space where he runs his startup. "I'm pleased to have taken an office space in Regus, which is a multinational corporation that provides workplaces in 120 countries. We also have a lot of product launches in the future including the biggest ecommerce with Merchant Integration Platform in Sri Lanka." He attributes this to Freelancer: "Thanks to the opportunities on Freelancer.com, I managed to set up my own business. I have a well-balanced lifestyle between work and family. I have a very supportive wife who works alongside me in the business. Together, we grow the company and learn through our experiences while enjoying plenty of vacations and trips on the side."